On January 2, 1912, Charles Ebbets announced that 4.5 acres of land in the Pigtown section of Brooklyn had been purchased in order to build an 18,000-seat stadium. At the time, the neighborhood in which the concrete and steel stadium would be built consisted of dilapidated homes and junk piles. The name “Pigtown,” in fact, was due to the pigs that once ate their fill at the location, leaving behind an overwhelming stench. 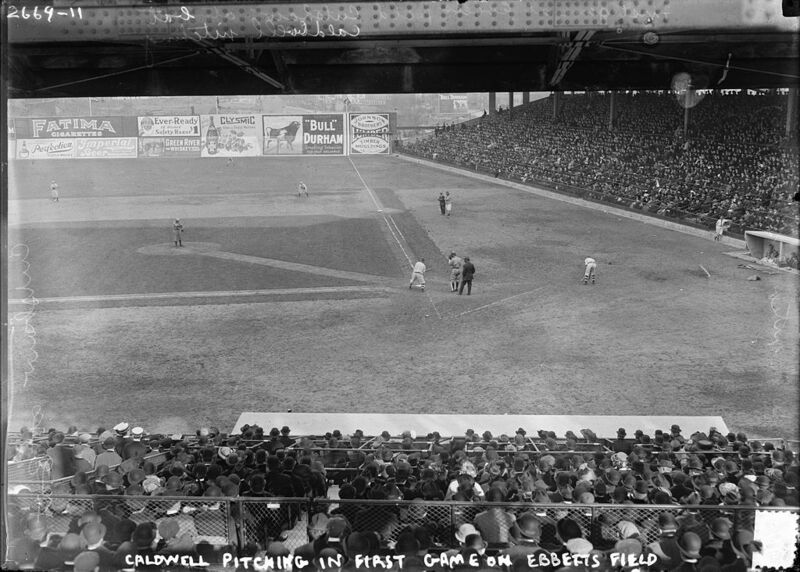 The metamorphosis of this plot of land into Ebbets Field would introduce to the area a cathedral where some of baseball’s greatest moments would take place. It’s quite fitting, isn’t it? And such a great movie too. If I could time travel my first stop would be Ebbets Field to watch the Boys Of Summer! Thom. It would definitely be on my list of stops too!